A unique summer delicacy that I have been missing after growing up near the south is okra. Those who know okra fall into two categories, generally: the okraphiles and the haters (see definition here just to be sure you understand fully those in category number two). Yes, there are those who love the veggie, and those who just can’t be happy for it, no matter what, or criticize it unjustly. “Oh, it’s too slimy!” or “I had it this one time, and it sucked.” Well, maybe the cook sucked. 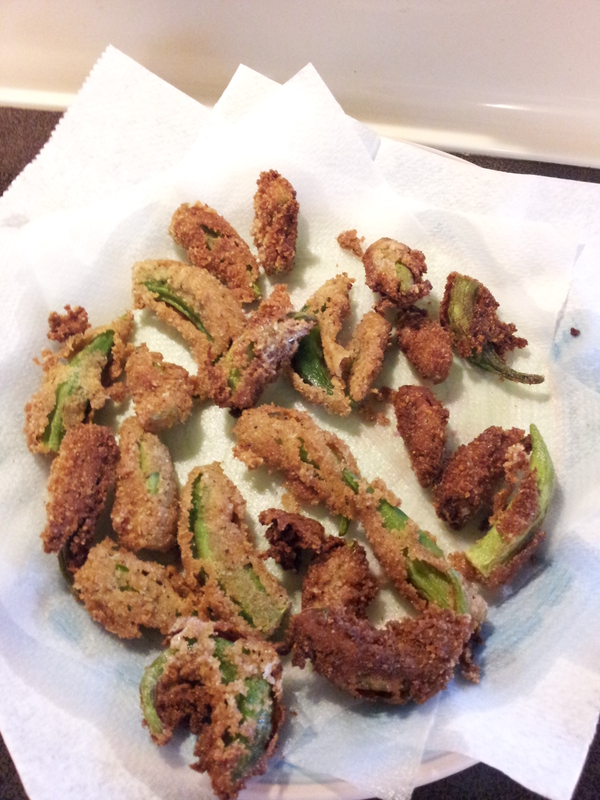 Good okra, cooked well, is delicious. Period. If you don’t like it, chances are you haven’t had it cooked properly. Or you are just jealous of its green goodness. Last Saturday at the Farmer’s Market, I was humbled and gleeful to find okra! Two years ago, a woman in a stand had okra. When I acted like she was actually selling golden goose eggs, she said, “I’m glad somebody knows what to do with it.” Somebody indeed! Last summer, no okra. Then again this summer, there it was! I bought a cup Saturday and two cups on Tuesday. Over the last few days, I have had not one, but two batches of fried okra, and tonight, I am experimenting with a curried okra dish. The Indians call okra “bhindi.” You have not quite lived until you have had bhindi Indian style. Apparently, Indians love okra so much, they name jewelry stores after it. That’s right. Okra Jewellers. My little garden patch is teeming with two things: tomatoes and green beans. The green beans are volunteer, coming up at the edge of the garden. They are mediocre as far as green beans go. But tonight, I will be jazzing them up with some…you guessed it…curry, which should make them fabulous! The tomatoes have become the tomato jungle. I have never successfully grown a tomato plant. No. That isn’t true. 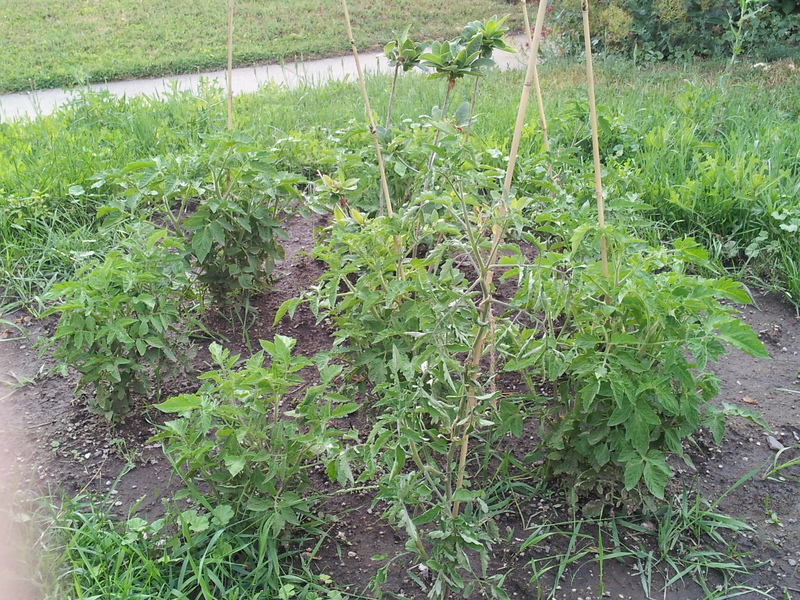 I successfully grew some cherry tomatoes one year that a bird planted in my garden. The last year we were in Springfield, I grew one plant that produced two hard, nearly inedible, fruit. I planted four cherry tomatoes because of my ultimate goal to dehydrate roughly one million of them for snacks all winter. My mother-in-law dehydrated cherry tomatoes this last winter, and they were AMAZING snacks right up through this spring. So…I planted four plants without nary a bird’s help. Normally, cherry tomatoes are like zucchini. One plant is not enough, two is too many. But dehydrated? I am hoping for as many as I can get. In the foreground of the above picture are the volunteer beans. 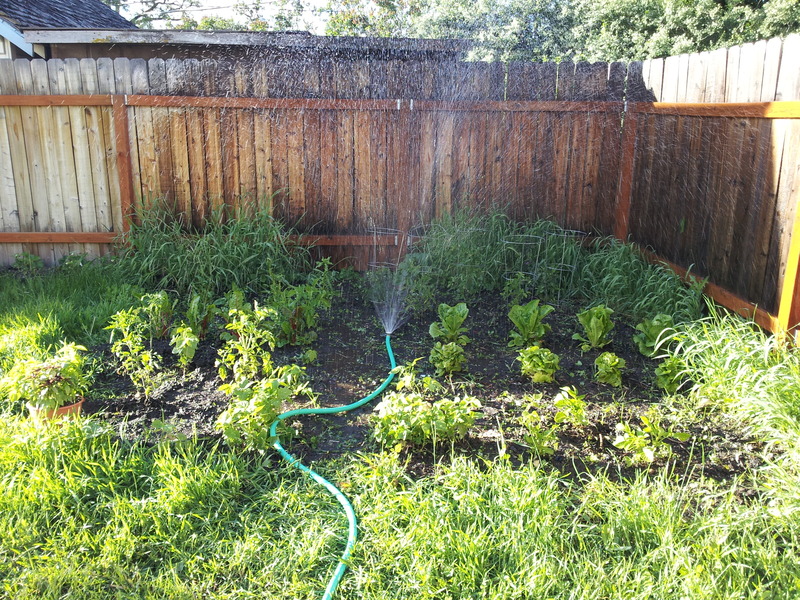 In the background is what I now fondly refer to as “The Tomato Jungle.” Other plants are either lettuce going to seed, volunteer potatoes that don’t seem to be doing anything, or weeds I have been too lazy to pull. Also, the kinder souls among you will suspend judgement on my bean trellis, which was very last minute once I realized that the volunteer beans were actually going to produce something. I am positive that better bean trellis technology exists, and next year, I will investigate and implement said technology. In addition to those five, I have three mystery tomatoes given to us by a friend…in the back yard plot. Two look like they might possibly be Romas. But really, who knows? Actually, my friend who gave them to me probably knows, and when she is done galavanting across Germany, maybe I will ask her. So, the total number of tomato plants in my backyard is 8. THEN…the same friend who gave me the three mystery tomato plants gave me an additional 10 or so other mystery plants, which I promptly ignored while I traveled to the AP reading. They started to look pretty puny. So…I shoved them in around an azalea plant that seemed to be doing pretty well in this big bare patch in our front yard. I used the logic that azaleas love acid, and tomatoes love acid, and the azalea loved that patch of earth, so “What the hell?” I thought. 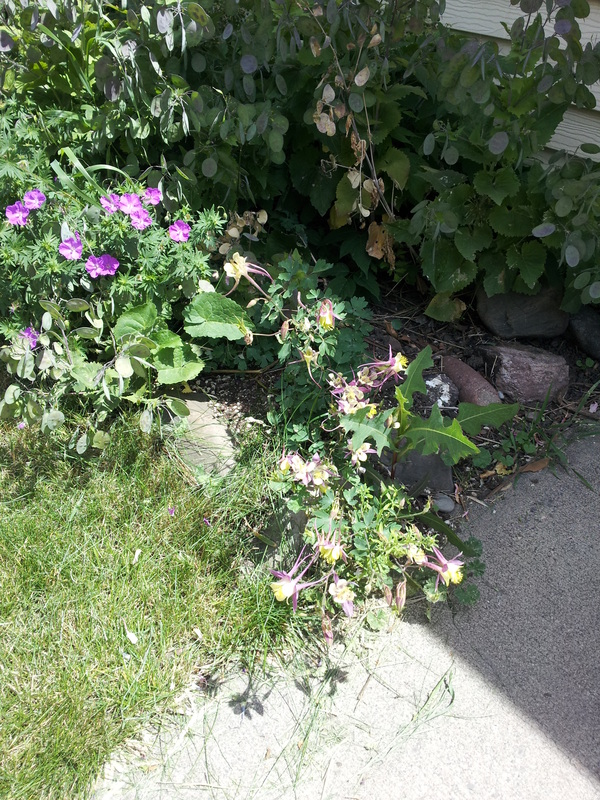 I could have 10 dead tomato plants in pots in my carport, or 10 dead tomato plants in a patch in my front yard. Yep. Every one survived. Most of them have blooms. One of them has an actual almost ripe tomato. So, to recap, I now have four cherry tomatoes, one Oregon Spring, and 13 mystery tomato plants for a total of 18 tomato plants, alive, in my yard right now. Next year, Universe-willing, I will have as many okra plants. And I will not have to depend on a few good vendors at the farmer’s market to determine my okra universe. I was immediately foiled by having no fresh dill. I take for granted, having lived in places with more than a few grocery stores, that fresh dill would be available in July. In a grocery store. HAHAHAHAHA! So I substituted freeze-dried dill, and now my pickles look like they are swimming in a very think dill-laden lake of brine. We will see what happens. If they turn out even close to amazing, I will grow pickling cucumbers and dill in next year’s garden. And okra. When we asked our friend Jason, who tilled the garden this year having just received his master gardner certification, what we should plant, he answered, “Plant what you like to eat.” Now, I am remembering, too late, that some of the things that I like to eat are things that I need to plant to make other things (like dill), and things that I forget that I like (like green beans), and things that I have no confidence in growing (like tomatoes and okra). Maybe the garden this year will actually yield enough to build my confidence in growing not just things that I like, but the foods that sustain me. Also, here are our newbie asparagus. 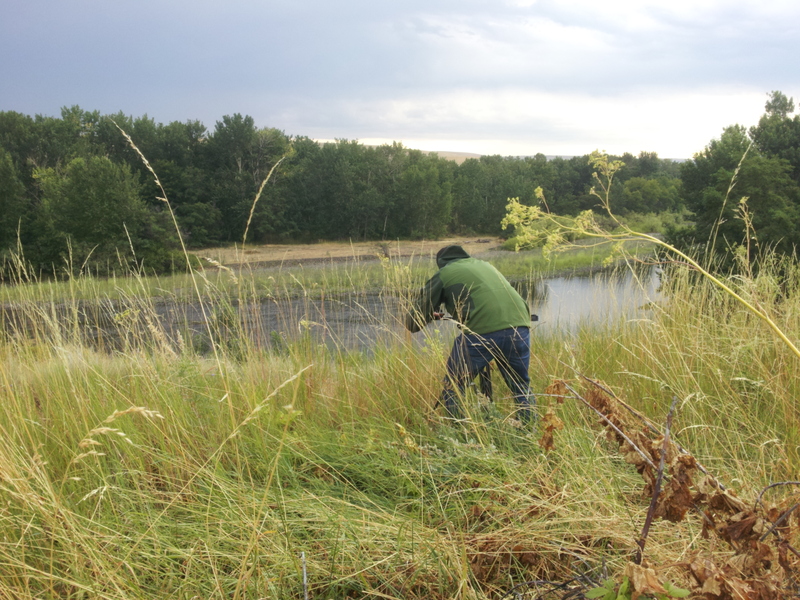 Last week, I had the amazing opportunity to work in a collaborative partnership with NOAA, the Confederated Tribes of the Umatilla, and the Oregon Department of Fish and Wildlife to do some filming for a grant project sponsored by NOAA. One of my students, whose blog is here, did the actual filming, and I did a lot of the holding-of-lens and positioning-of-reflectors. We shot over three days from the Upper Umatilla down to the lower on tribal lands and those controlled and regulated by ODFW. The one concept that kept sticking in my head, after all that shooting, was the idea of sinuosity. For a river to be healthy, for it to maintain fishes and bugs and such, it must be allowed to be as sinuous as possible. In other words, it must be allowed to drift and find its own path across a flood plain instead of being pinned to the side of a valley in order for more land to be used for agriculture. When a river is pinned, its velocity is too high to sustain the natural life within it. The river heats up, and things in the river, like fishes and bugs, start dying, or get replaced by bottom-feeders and other elements that are not native to the stream. Not to mention the effects of pollution, run-off, etc. on the stream itself. I connected with that idea of sinuosity and the unhealthiness of being pinned up against one bank and running too hot to sustain life. I work best in a state of sinuosity. Like today. I have been playing around with uploading photos to Picasa, checking out blogs about MOOCs, enjoying a recipe for Instagrahams, spying on my friends lives and keeping up with news stories through Facebook, working on this blog, and enjoying the sinuosity of drifting across the flood plain of my summer. The trouble is, most of the real world thinks that sinuosity is multi-tasking, is unhealthy at best and at worst EVIL! Most of what I have encountered is an adult and particularly as an academic are efforts to pin me to the edges of the floodplain. Then I end up tearing loose in a flood and destroying a crop. Ok, maybe not destroying. But certainly not benefiting. So my new goal is to learn to be sinuous more often. Basically, I need an SI > 1. Also, here is a photo I took using the panoramic view of my phone camera looking out from Cabbage Hill with dawn to the east and a thunderstorm and double-rainbow to the west. Enjoy! Daria is enrolled in the Summer Reading Program at our local public library. This year is her first year of hard-core summer reading. The program requires that she read 50 books by the end of the summer in exchange for a prize. We are about two weeks in and have nearly met the requisite book reading requirement. Most of the books we’ve read to her have been beginning Spanish readers (like the one about the baby whose name I can never remember) and Dora the Explorer books. Last night, my mother-in-law read her a book based on the movie Monster’s Inc. Daria fell asleep during the reading. Having only listened halfway to the book while watching Michael Phelps win his 700th Olympic trial event, I have to say that I agree with Daria’s review of the text. My summer reading program is getting off to a slower start. Given that my “summer” only officially began at 5:00 p.m. last Friday, I can’t really be blamed for being 47 books behind Daria. Also, some of her books are seriously SOOOO easy to read. I don’t want to brag, but my books are WAYYY longer and harder to read than hers. Also, also, I have been distracted by our new magazine subscriptions to Real Simple, O Magazine (don’t judge me), and The Atlantic Monthly (permission to judge reinstated). And I just got an iPad. More on that to come. So I thought I would wax eloquent on a few of the books I have already read, a few I hope to read this summer, one book I will not be finishing, and what navel-gazing about my summer reading choices means for my nascent blog. 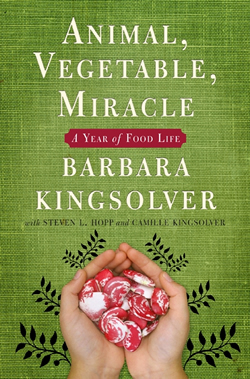 This book details the Kingsolvers’ one-year foray into locavorism in the Appalachian Mountains. They grew most of their own food, and what they couldn’t grow, they gathered from a 100-mile radius. The book was masterfully written, as are all of Kingsolvers’ books (see Poisonwood Bible and Prodigal Summer, just to mention her titles that start with the letter P). The Kingsolvers’ effort made me want to be a better person, locavore-wise. I am working on eating more locally, but I do love the coffee (not natively grown near Eastern Oregon) and Kettle chips (which can be found in Salem, about 300 miles away) are, unfortunately, a diet staple. In spite of my failings as both a locavore and a human, the book is lovely, and I would recommend it to anyone who still has space left on their summer reading pile and yearns for fresh sweet corn, even in January. Mr. Doyle came to our campus and did a not-so-much-book-reading-as-super-charged-free-flow-storytelling session. I liked the very small bits he did read, and liked his story telling for the first hour, so I bought the book. 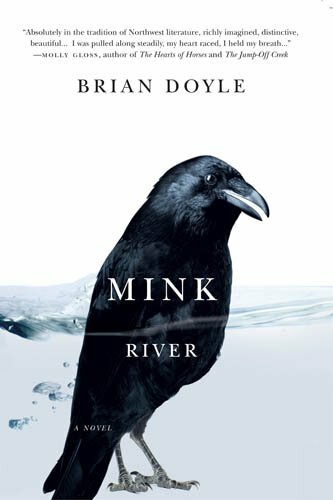 Aside from the long listing technique employed a bit too freely, the story of three generations of Native American and Irish families in Western Oregon was captivating and the prose lovely. It was the perfect cheating-before-the-summer-book-reading read, excessive lists aside. Jodi is my colleague, and we had a coffee/photoshoot one afternoon to catch up and get a new website photo for her, and during our chat, we started talking memoir. She has one published, and I don’t, and this is hers. After devouring hers on the plane to Louisville, I have decided to rescind my offer to let her read mine until I do a complete overhaul (see more below about my unpublished and woefully incomplete memoir). She grew up in Denver’s Jewish community in the 1960’s and spins a tale of two Jewish communities, her father’s Ladino-speaking Sephardi community from New York and her mother’s Yiddish-speaking Ashkenazi community from Denver. If you are looking for a book about fathers that will help you figure out the one that you had, this is a good summer reading selection. These are some books I have not yet read but am hoping to soon. I need to write a book review of this for a journal by this fall, so this is a summer-reading priority. I can already hear the “boos” from the peanut gallery that I am listing “work” reading on my “summer” reading list, but I am eager to see what Gee has to say. I have only read portions of Gee’s other work, but at a glance, this doesn’t at all appear to be his typical writing style or depth. 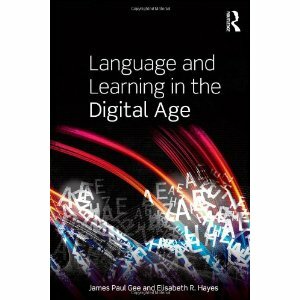 This book seems to be written on a very elementary level, at least the first chapter has been, so I am hoping to fly through this one and perhaps use it for my spring Digital Rhetoric class. I will stop talking shop now. Back to the “real” list. As evidenced by my Kingsolver selection above, I am a sucker for the “I tried something for a year and this is what happened” genre. 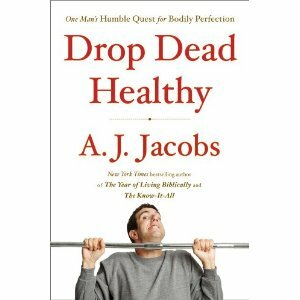 I have also toyed with adding his Year of Living Biblically, to the summer reading list, but I would rather follow up with the Kingsolver “being a healthier human,” so I opted for this selection instead. I am hoping to be both entertained and jolted into actually hitting the gym and getting my Insanity body of early spring back again (further blog posts about the Insanity body and body issues to follow). 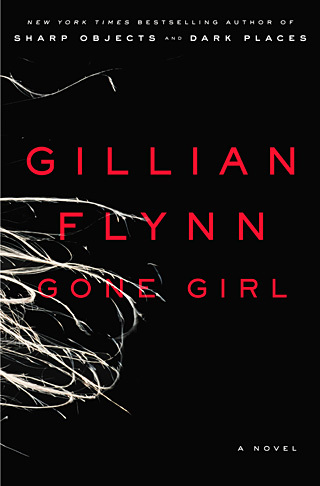 My single work of fiction I am choosing for my summer reading program is Gone Girl, both because it garnered rave reviews in two magazines I subscribe to that review books (and will remain nameless because I have reinstated your license to judge based on my magazine subscriptions). I love reviews that talk about “dark surprises” and promise that the book will “pull the rug out from under you” (much like chapter 9 of The Bell Jar where you realize not all is quite as it seems in Manhattan). So I am holding out hope that this book will deliver some escapist fantasy of the dark, rug-yanking kind. I won’t go through the trouble of posting a thumbnail for the cautionary tale of Why Be Happy When You Could Be Normal? by Jeanette Winterson. The book had so much promise when I yanked it off the public library shelf last Thursday: snappy title, good reviews, great cover photo of author as child carrying a beach ball. And so many people I like are named “Jeanette.” And she is British. I couldn’t lose. However, one chapter in, I could see that this was clearly a follow-up memoir to try to explain the stories from the author’s successful previous work of fiction, Oranges are Not the Only Fruit (which I haven’t read). Basically, the first few chapters, which are all I will be reading, are a mixture of 1) frequent references to Oranges are Not the Only Fruit (which was also a BBC mini-series) and what happens therein, 2) very short character sketches of her adoptive mother with the same repetitive themes (see “religious fanaticism,” “hypocrisy,” and “cruelty”), and LOTS and LOTS of telling about what love is and what life is and other phrases that go well with being verbs because they’re just those phrases that can only be distilled from a long life well-lived that we, unfortunately, won’t get to see any of. 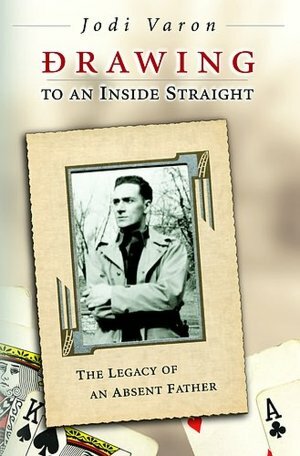 So, in a nut-shell, this book breaks the “show, don’t tell” mantra of what makes compelling memoir. In short, I want to draw my own conclusions about the author’s life based on well-crafted stories that draw me into the action (see another Jeanette’s glorious book The Glass Castle, which is our university’s common reader selection for next year). I do not want to suffer through lines like “Happy times are great–yes, yes, yes. Happy times are great, but happy times pass — they have to– because time passes” (24) delivered in one-and-two sentence paragraphs, like a slightly longer version of Chicken Soup for the Soul. What? Time passes? Why didn’t anyone tell me? But, still, Jeanette has a book published, and I do not, so I guess I should give her some kudos for being one step ahead of me on the ultimate prize ladder of all academic careers: getting their long-form paper-bound brain-wanderings recognized by a publisher. As some of you know, part of my “big girl” job consists of teaching writing and digital rhetoric. In my writing classes, particularly in my creative non-fiction courses, I encourage students to “pull back the curtains” in their writing and let the audience look through the window into their lives. Don’t just hold the curtains close and tell us what you’re seeing through that window using cliched aphorisms like “she meant the world to me” or “he was the love of my life.” Sling those drapes open and let the reader see for ourselves that moment when you were three and you realized the universe is unfair at best and more than likely just cruel (read: use description to draw us into stories that we can interpret without your help, thank you). My Fascinating Life Stories + long-form, print text + years of fear = Very small possibility of real, wide-spread audience. Sure, I might some day draw together the courage to actually send out more than pieces of that memoir that sits as bytes and bits on my flash drive. And some crazy publisher might actually publish ANOTHER memoir about family struggles, loss, grief, and quirky tales of “growing up in _______.” But if so, who will read it outside of friends, family, and those people who might pick it up off the Dollar rack at the Big Lots? And the students to whom I assign it? Probably no one. My Fascinating Life Stories + digital media + New iPad and ubiquitous internet access = Very good possibility of real, instant, and possibly wide-spread audience. Hmmm….I am probably going overboard here with the “wide-spread” part, but I looked at my “stats” today, and 38 people have read my previous posts. Which means that about 30 more people have read my late-afternoon online musings than have read the 15-year labor of my 150 page memoir manuscript. So…yeah. What does this mean? Well, if I were a good author, following my own rules, I would leave it for you to interpret. But I am a hypocrite, so I will tell you. These two mathematical equations mean that I am struggling with the very boundaries that Clay Shirky mentions between content and media, the boundaries that the literate and semi-literate world once took for granted. We knew that letters were generally personal communications; books were one-way communication from a single (or sometimes multiple) author(s) to a wide audience. “those mothers” who thinks her kid riding a balance bike is some kind of friggin’ miracle. And WordPress can instantly tell me how many people at least accessed, if not read, my posts. If I published a book, I could put it on my vita, get a promotion, imagine that someone read it, and be done. Now, post-digital-media-revolution, bets are off. But I digress. In all actuality, the same people who would read my memoir, if it were ever out there to read, are probably the same ones reading this blog right now. All this to say that I best get reading. My summer is really only one month long, and that month has already lost a day plus. 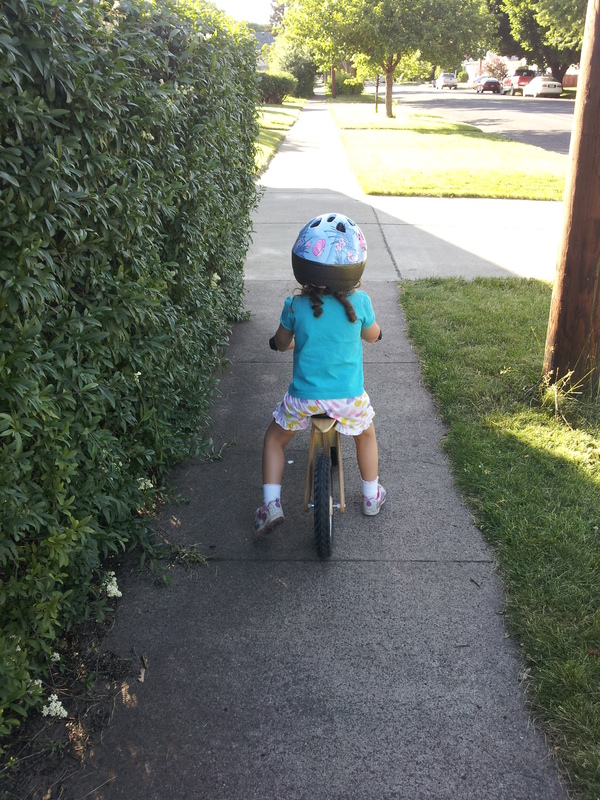 Daria has been learning to ride her bike by riding around the block, up to the park, and back. Daria biking on sidewalk near our house. She’s gone from limping along, pushing with one foot and hobbling, stopping every few minutes to expound on the cracked pavement or the state of the shade to gliding like a pro in a matter of days. Her development is astounding. Every few days is a new miracle. This afternoon, while eating lunch and perusing the next-to-latest Rolling Stone, I read an article about the Beach Boys getting back together and suddenly had a flashback to riding my bike as a little girl with my nephew in the basement of our house on Wooded Hills Road, where my sister and her family still live. The summers were scorchy-humid-blistering, but the basement garage was sweet cool and spidery. We rode our bikes in figure 8s while listening to “Barbara Ann” and “Wouldn’t It Be Nice” and “Surfin’ Safari” and “Little Deuce Coupe.” A bit of California in sultry, land-locked, rock-infested and sun-bleached Northwest Arkansas. Daria’s riding path is strikingly different from our basement. She rides on sidewalks past Norman Rockwellesque yards to a neighborhood park where she can look up and see the Blue Mountains. June is preternaturally cool, highs only kissing the low 80s. 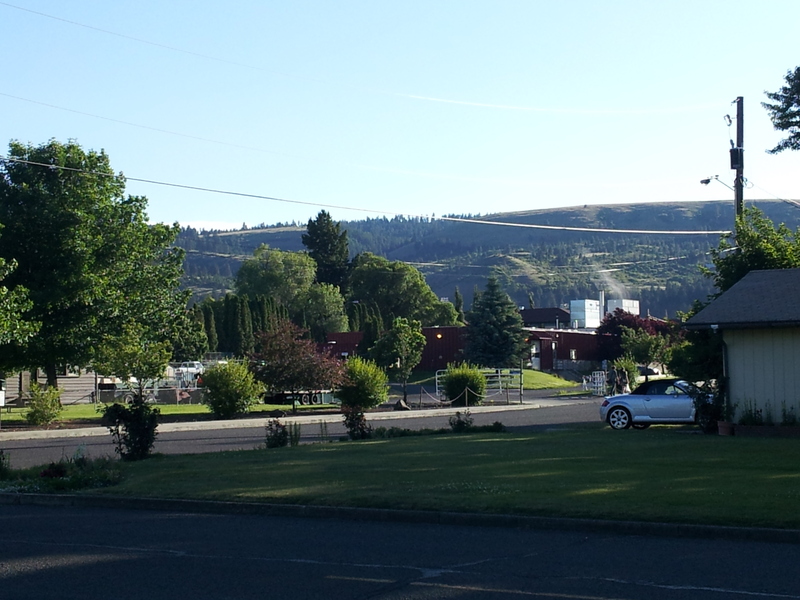 The view from the edge of our neighborhood park. Before we moved to Oregon, I lived in the midwest, or the “upper-South” most all my life–Minnesota, Arkansas, Indiana, Missouri. Hot and humid summers with dazzling but short spring and fall surrounding icy, unholy winters. Moving to the Blue Mountains shocked our systems. Dry. High. Surrounded by mountains not of the Ozark variety, which Wikipedia informs me are actually dissected plateau. But real mountains. We live at 2800 feet above sea-level, roughly and are in a valley surrounded by close mountains with peaks of 4800-8000 ft.
Our valley lacks fireflies and thunderstorms (sorry, natives…we have had one in the three years I have lived there…the rest are slightly noisy showers). But it has rich, dark soil (again, sorry natives, but the soil is not “full of clay”…for that, I would take you to Southwest Missouri/Northwest Arkansas where potters could literally make coffee mugs straight from the soil on my in-law’s land). Moving across country from your home territory (securely in Zone 6 and 7, CST) into a completely foreign soil (in chilly Zone 5, PST) throws off your internal clock. My body still seems to function in Central Standard. 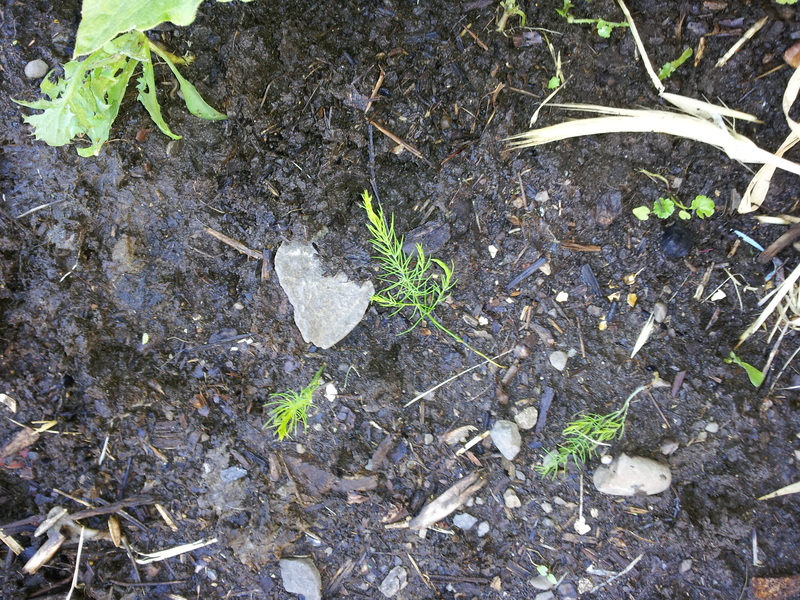 By mid-May, I was itching to put a tomato plant in the ground, feeling like something was wrong with them still squatting in my windowsill (“Brave move!” said a Zone 5 lifer when he saw my mid-May garden, rife with spindly Oregon Spring and Cherry Tomato Plants). When I was four, my family transplanted from Minnesota to Arizona to live near my aunt. In Arizona, I developed a strange allergy to the climate, and my family re-transplanted when I was six to Arkansas. I remember that my parents were really headed to Kentucky horse country, but Arkansas got in the way. A good chunk of my family still lives in the dissected Ozark Plateau, having planted roots for the last 31 years. I wonder, when I look out over mountain peaks ringed with June snow if Daria’s roots will break this soil. I don’t know. But for now, she is enjoying the climate. Welcome to the summer of the blog. If I can keep this up all summer, my reward it getting to go Pro in the fall. This summer’s themes are Gardening, Living, Mothering. I added Teaching to the categories because I might find things I want to incorporate in that section, but I am hoping to stay at least a little clear of the teaching world…at least in July. In February, my husband, 3-yr-old daughter, and I moved to a new house close to the campus where we teach. I had been jonesing for living in a house again after living in a tri-plex for nearly three years. I wanted a yard with space to garden. And this house has just that. So this summer is my first foray into gardening since, well…the last time we moved into a new house with space for a garden (2000). 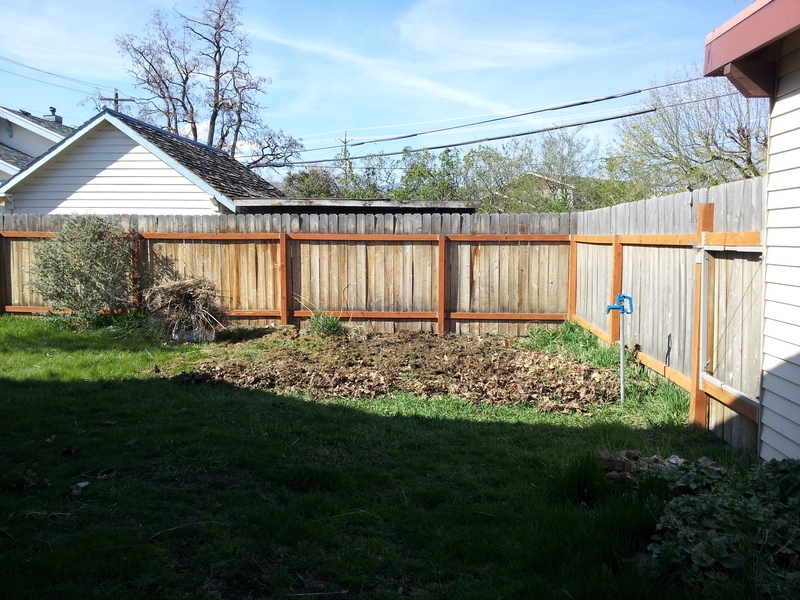 I wasn’t going to jump head-long into veggie gardening again, but in mid-April a friend had a tiller that he volunteered to use on composty-patch in the back corner of our lot. 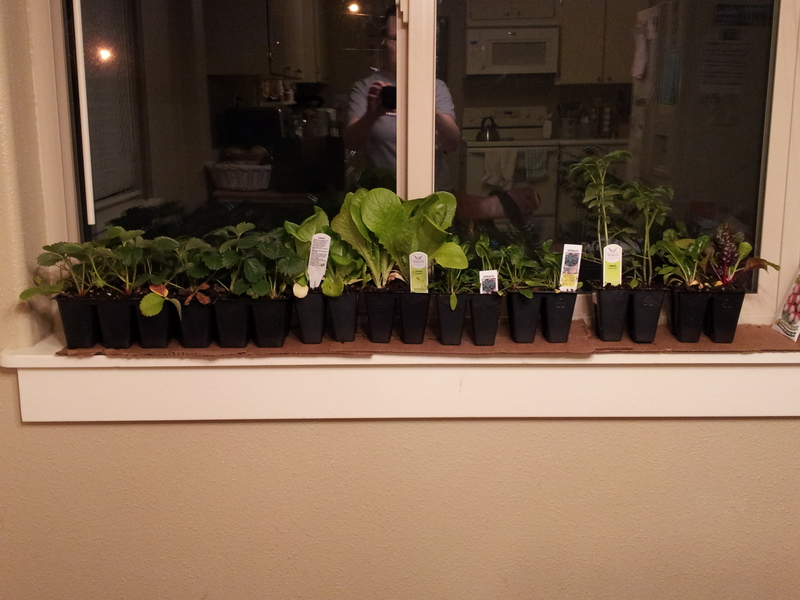 I said “Ok…might as well do that and I will put in some plants that I won’t care about.” After all, I had no intention of actually “gardening” in the formal sense. but I could put in some plants and see what happened. So Jason tilled a patch. Not a bad start. We soon found out that the blue spigot to the right of the frame was hooked directly to our hot-water heater, so that was out as a source of water for the garden. But it did clean Jason’s tiller nicely. 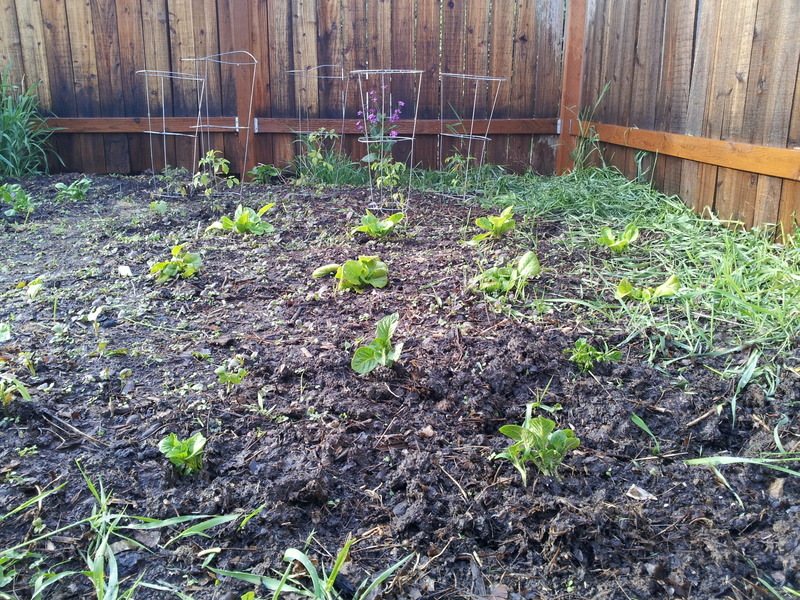 After procuring romaine and butter crunch lettuce, spinach, radish and asparagus seeds, chard, and tomatoes, we planted. 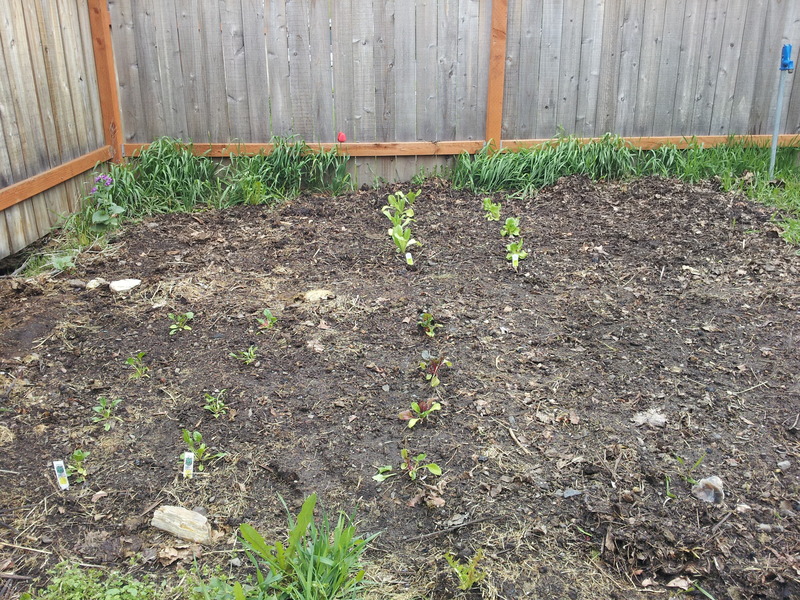 After planting, late April 2012. 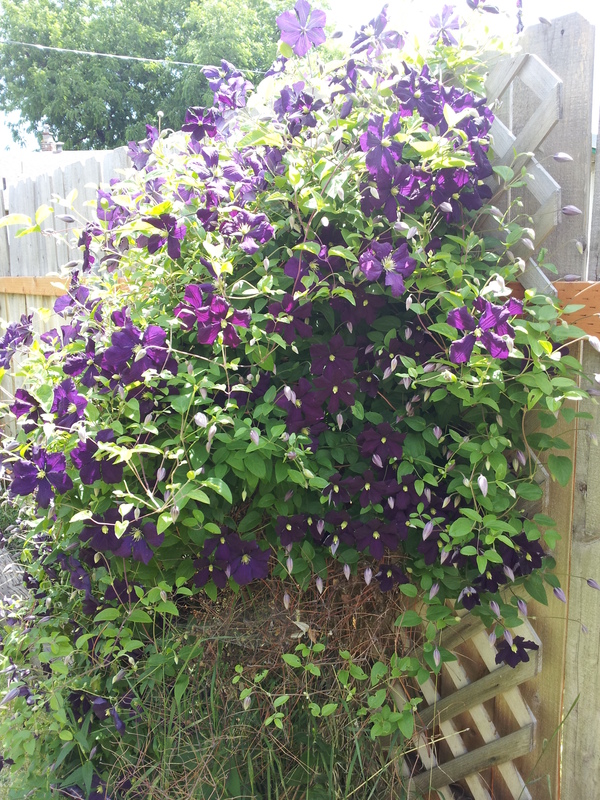 I am not a stellar gardener. I have tortured and killed many a plant, potted and otherwise. One friend of the family said that my indoor plants seemed to live just to spite me. So far, the garden has flourished, or at least survived. 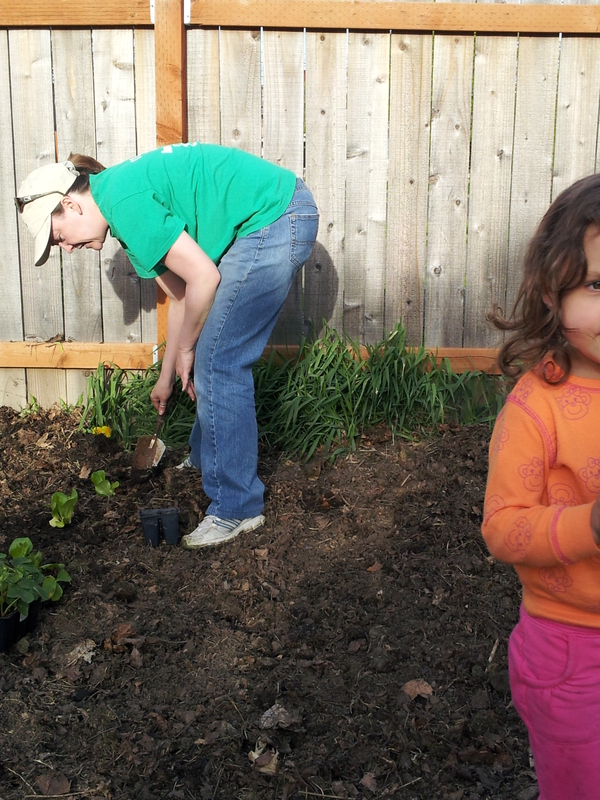 Mid-May, Daria and I began harvesting spinach, lettuce, radishes and chard. 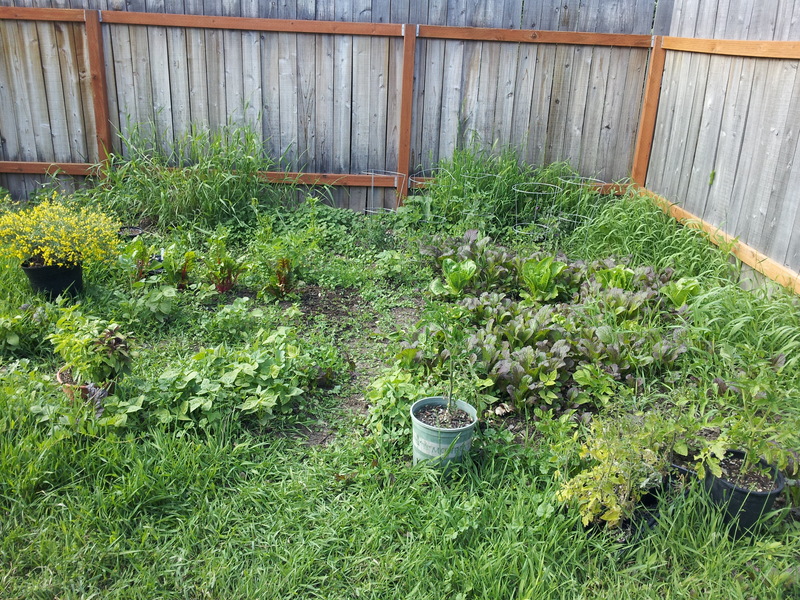 Our garden as of May 18. Mid-June, I left town for 9 days. Jacob and Daria picked spinach and lettuce but didn’t weed. 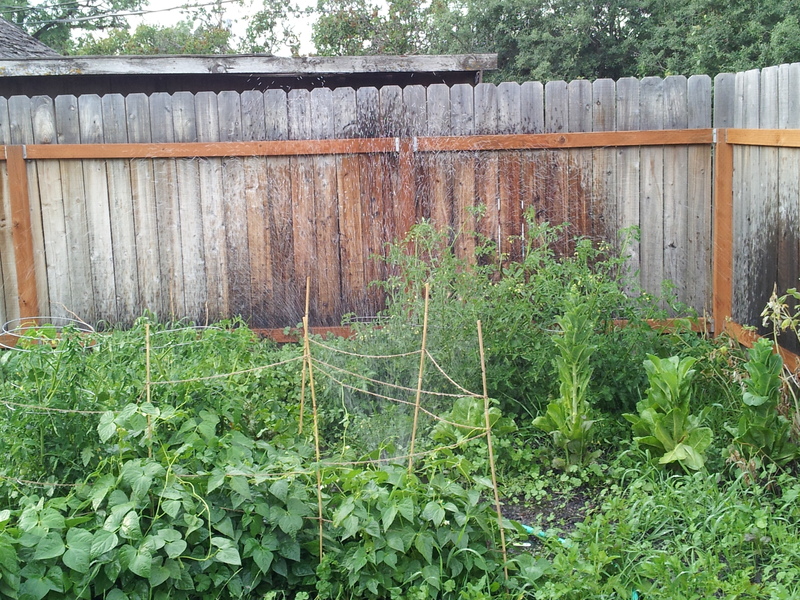 Daria and I wrestled with weeds and replaced the radish patch with some new tomatoes given to us by friends. 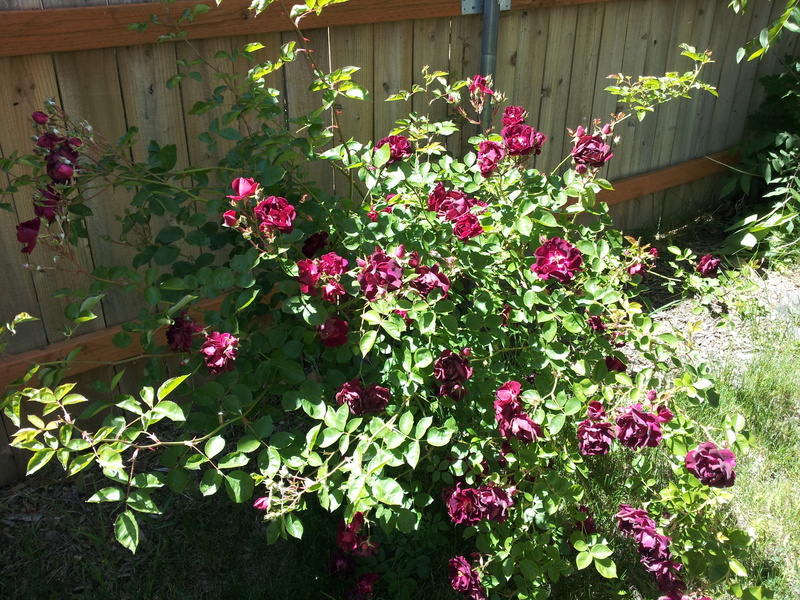 The rosebush in our front yard. 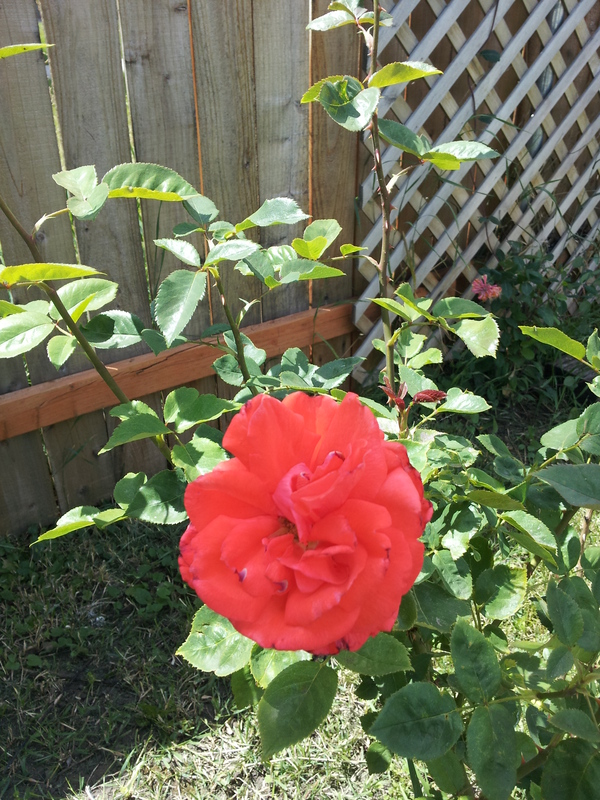 The rosebush in our back yard. 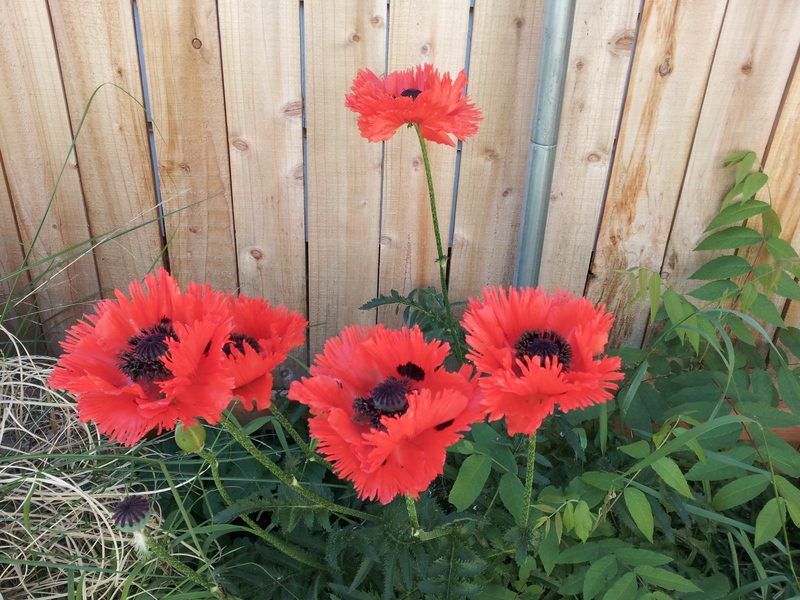 How do you make opium from poppies? So why blog now? Well, I want to start writing again, and journals worked well when I was trapped at home with Daria on maternity leave. I could journal while holding her and rocking. But now, I don’t journal, and I don’t want to lose this summer like so many others to the lazy hazy days that bleed one into another. I want her to have something that captures the rare moments and miracles that are everyday in our existence. We live in a beautiful place, here in the valley of the Blue Mountains. This summer, I want to work on making that beautiful place really our home.